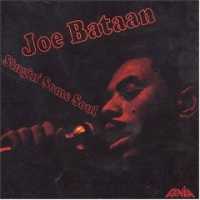 Due to poor sales, this has become the rarest of joe bataan 's Fania titles (though not as expensive as Bataan's original Fania gold label titles (gypsy woman, subway joe and riot.
. 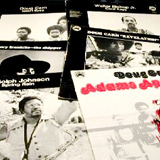 It's an excellent showcase of Bataan's singing style and charisma, mixing several covers, mostly notably "Crystal Blue Persuasion" and "More Love" with several of Bataan's own songs, the best of which include the self-affirming Brown pride song, "Young, Gifted and Brown" and classic, doo-wop influenced "Under the Street Lamp." The album also features yet another remake of "Ordinary Guy" as well as "My Cloud," previously featured on "Riot." Great LP, great singer. A Masterpiece of Latin Soul. My favourite track is clearly his classic "under the street lamp" who has also been played by the band "Exits" on 45rpm.